Nineties comebacks are *so* not news anymore, much less those by bands who emerged in the brief period before both grunge and Britpop shaped much of the decade’s musical landscape. The movement which faced a total extinction event was known as Shoegaze, the name a nod to the noisemakers-in-chief who much preferred the introvert satisfaction of staring at their pedal boards than making eye contact with actual humans. For all its mawkish outlook and post-psychedelic torpor, in Ride, Catherine Wheel and most (in)famously My Bloody Valentine, the thing actually showed it had some genuine creative legs, even chart bothering before a hooky cover of Boston’s More Than A Feeling obliterated it. 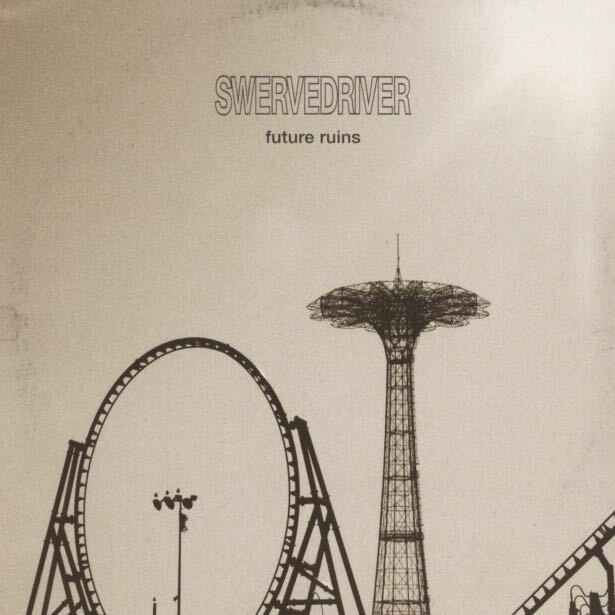 Swervedriver were from the ‘gazer epicentre of Oxford but never felt musically quite part of the gang, although their 1991 debut Raise is often bracketed in with its classics – but bad luck and bad labels largely condemned them to obscurity back in the day. No Future is the band’s second post getting it back together release after 2015’s I Wasn’t Born To Lose You and offers further proof of them as a going concern; mellower than in their heyday, core duo of Adam Franklin and Jimmy Hartridge spend the time recalling scene mavens Teenage Fanclub (Golden Remedy and Drone Lover) whilst Opener Mary Winter returns them to a much visited theme of cosmic exploraton. Forget drugs, it seems that herbal tea really does work. Can’t wait to hear this. I loved their last record.